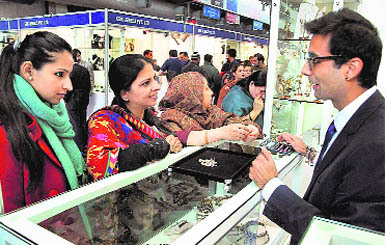 Starting Monday, an Indian business delegation led by Commerce and Industry Minister Anand Sharma will be taking part in a series of high-end events, including an �India Show�, in Pakistan amid expectations that the neighbouring country will make an announcement granting the much-awaited Most Favoured Nation (MFN) status to India. 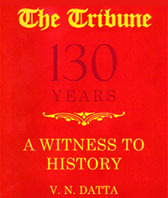 A day after the Election Commission wrote to President Pratibha Patil, complaining about Law Minister Salman Khurshid�s �defiant� attitude on his remarks on minority quota, the Congress today issued a general advisory to its leaders, asking them to observe rules of the land and work within parameters of the Constitution and its institutions. The National Investigation Agency (NIA) has made another arrest in the 2007 Samjhauta Express twin blasts case. Kamal Chauhan (28) was arrested by agency sleuths from Depalpur town in Indore, Madhya Pradesh. Chauhan had allagedly planted a bomb in the trans-border train along with another accused Lokesh Sharma, already under arrest. Although deemed to be unlawful, mentally challenged people kept in chains is hardly anything new. Yet, the sight of half-a-dozen people, both adults and teenagers, kept in chains comes as a shock. On the outskirts of Jalandhar, on the road to Adampur is the Guru Nanak Ashram, where nobody is turned away. The new Maldivian President on Sunday expanded his Cabinet amid a political stalemate with ex-President Mohamed Nasheed, who since leaving office last week in what he calls a coup has vowed to stage street protests unless new elections are held. Legendary singer-actress Whitney Houston, the most awarded female act of all time and a heart throb of the 80�s with soulful songs like �I Will Always Love You�, was found dead at a hotel here on the eve of music industry�s biggest night. For the first time, an Indian auction house will be auctioning works of Vincent Van Gogh, Pablo Picasso, Matisse, Chaggall and Salvador Dali this week. Indian and other Asian students, who are more used to 'squatting' toilets, are being offered a helping hand to adapt to the 'sitting system' more prevalent in the UK and other western nations.